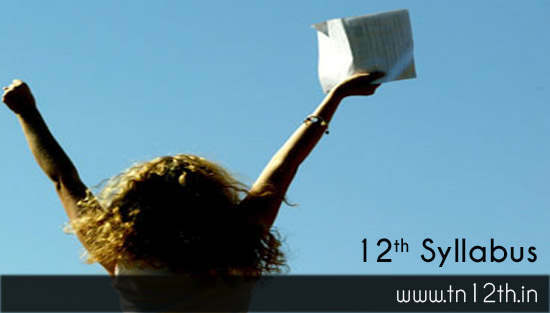 Tamilnadu 12th Syllabus is available for all the subjects in both Tamil and English medium students. The Tamil Nadu Directorate of Government Examination has generated the 12th new syllabus and uploaded at dge.tn.gov.in official website. All the students who are interested in going through the latest TN HSC Exam Syllabus can download it on this page in PDF file format. It is advised for the students to refer it at least once before the annual examination. Everyone could be hearing from your teachers that you should be aware your Quarterly, Half Yearly and Annual Exam Syllabus because you could be getting the questions based on your syllabus. You can study only the chapters that are listed in the TN 12th new syllabus and go for the exam. You can also consult with your subject wise teachers about the use of Tamilnadu public exam syllabus and give important to the syllabus of Tamilnadu State Board examination. The Tamil Nadu Directorate of Government Examination is shortly known as TNDGE and it is responsible for all the public examination conducted in the Tamilnadu State. The TN DGE will be providing the latest syllabus for each examination in advance so that the candidates could have time to prepare well and attend the examination. If you are doing 12th standard and looking for the new tn plus two syllabus, here can find the details and downloadable link for each subjects. However, you must choose the medium. It can be Tamil or English / Matriculations. After that it could be easy for your to select the class and subjects. Here we have made easy for you to download immediately by looking at your subjects for 12th std syllabus. You can also take print out of all these 12th exam syllabus Tamilnadu state and keep it along with you while studying for the annual examination. There are many subjects are covered in 12th standard such as Tamil, English, Maths, Accountancy, Commerce, Economics, Geography, Chemistry, Zoology, Biology-Zoology, Biology-Botany, Botany, Physics, and History. However you will be required to download your Higher Secondary Examination Syllabus only for few subjects as per your groups like science, maths, commerce, computer science and agricultural. Tamilnadu school syllabus is available for all the standards like 1st standard to 12th standard at the official website. All of them are having English and Tamil medium pdf documents which can be easily selected through dropdown list. First of all you need to select you class and then subjects. In case if it is language there is no need to select the medium. Otherwise you need to finally select English Medium or Tamil Medium from the list.